Festival season is upon us. And we’re not talking about Coachella or Stage Coach or all those music festivals, we’re talking about an event with a much more humble note: 清明节 (qīng míng jié) or Qingming Festival. This year, the holiday falls on the 5th of April. Qingming Festival is one of the lesser-known Chinese national holidays. The name "清明" (qīng míng) means "clear and bright." Due to this and the fact that it often falls on the fourth or fifth of April, it is often mistaken as a day of spring cleaning. QINGMING FESTIVAL, IN A NUTSHELL, IS A DAY TO COMMEMORATE THE DEAD. Unlike Mexico's Día de los Muertos, which is celebrated with exciting fiestas and colorful face paint, Qingming Festival is celebrated in more understated and solemn methods. Families often reunite on this day and go to the gravesites of their ancestors or relatives. 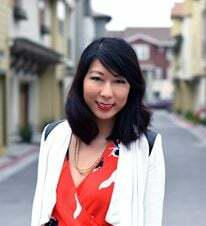 Weeds are pulled away and the tombstone gets a good sweeping, hence the popular translation of the holiday name to “Tomb Sweeping Festival.” Some families may choose to present flowers or light joss sticks at the gravesite, and paper “money” is often burned. Kites are flown during both the day and the night, because it is thought that kites were messages for the ancestors. 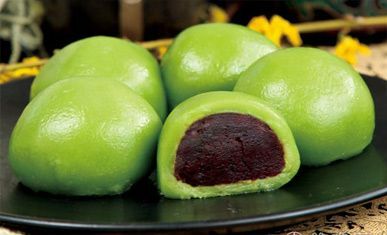 In the Jiangsu and Zhejiang provinces, people often eat 青团 (qīng tuán) during this time, which are glutinous rice balls stuffed with red bean paste. They are green in color due to the infusion of green mugworts or bromegrass juice. The two days before Qingming Festival are the days of the 寒食节 (hán shí jié), also known as the “Cold Food Festival.” This is where the tradition of eating 青团 was born. During the earlier celebrations of the Hanshi Festival, all fires were banned so people could not eat hot food. This was done in the memory of the legendary Jie Zhitui, who died tragically in a fire. According to the legend, in the Spring and Autumn Period (770-476BC), Jie Zhitui was an official in the Jin State, working for Prince Chong'er. Due to political turmoil, Prince Chong’er was exiled, and Jie followed him. They went through many hardships together. To save the starving Chong'er, Jie even cut the flesh off his own leg and offered it to the Prince as sustenance. However, after coming back and eventually ascending to the throne, King Chong'er began to forget Jie. Jie was so upset that he left with his mother to live in a remote home in the mountains. Chong'er felt guilty, so he went to the mountains to look for Jie, and asked him to return. Jie refused out of pride. Chong’er became angry, so told his men to light a fire in the mountain to force Jie out. Jie and his mother were found dead after the fire was extinguished, together with a note written by him in blood: "I cut off my own flesh to dedicate to you, only to wish my king will always be clear and bright. " In memory of Jie Zitui, Chong'er issued an order to make the day "Cold Food Festival." And on this day every year, no fire or smoke was allowed and people should eat cold food for the whole day. It was not until the Qing Dynasty about 300 years ago that the practice of 寒食 (or eating cold food) was associated with and eventually replaced by that of Qingming Festival. Most Chinese families now celebrate the two days as one. 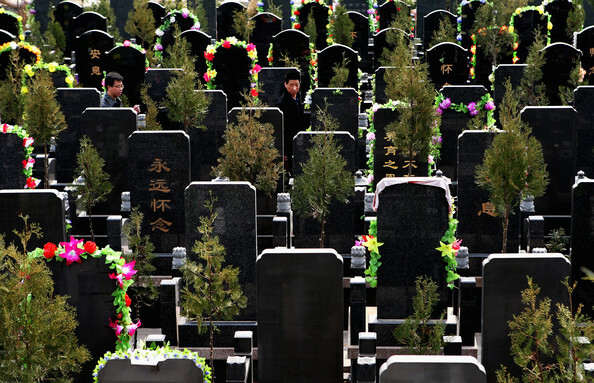 In recent times, Qingming Festival has also been used by the Chinese to pay their respects to departed public figures. This is also a holiday used to commemorate tragic catastrophes, such as the Wenchuan earthquake in 2008. Nowadays, many tributes may be posted online during Qingming festival to honor those who have passed. Even though Qingming Festival is a holiday, it’s extremely rare to wish someone a “Happy Qingming Festival” as you would most other holidays. This tends to be a day of mourning that Chinese people take very seriously. HERE ARE SOME CHINESE SENTENCES RELATED TO QINGMING FESTIVAL FOR YOU TO LEARN! "Have you eaten qīng tuán before?" "No I haven't. Is it good?"